On 22 September 2016 SAPESI organised a ceremony in Bloemfontein, Free State, where a report on research commissioned by the University of the Free State and VVOB was presented. September 8 was International Literacy Day. An event related to this day was held at “K” Line South Africa in Durban. 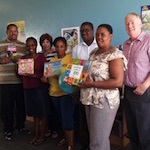 In a handover ceremony children's books were handed over to the Department of Education in Kwa-Zulu Natal. 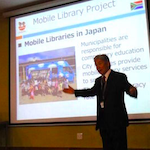 SAPESI recently participated in LIASA’s (Library and Information Association of South Africa) SLYSIG conference. The biannual conference was held on 27-28 June 2016 in Bloemfontein in the Free State province. 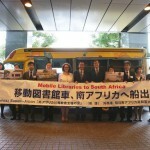 During December 2015, the car-carrier “Sunshine Ace” of SAPESI’s shipping Partner MOL, arrived in Durban, transporting 4 Mobile Library units for North West Province’s Department of Education. These buses were delivered safely to their destination after custom clearance.